The broadcast of TV series Brain is coming to an end, and the behind the scene photos when shooting the last final episode has also been made public. Shin Ha Kyun, Jung Jin Young, Choi Jung Won and other actors are bidding farewell with the filming of the drama, but the actors still demonstrated their passion for acting. 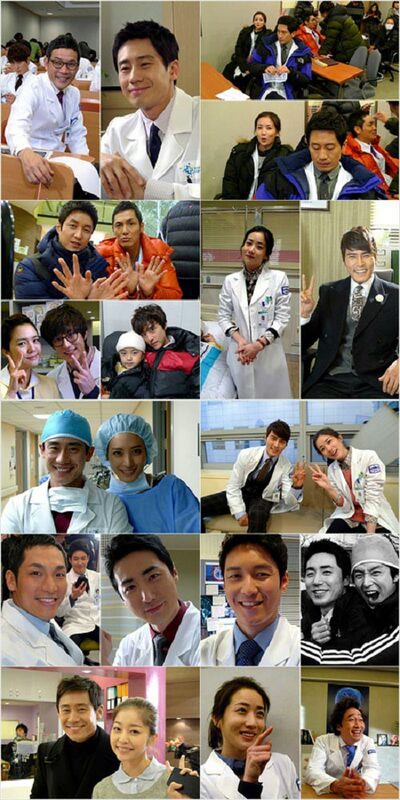 The actors have been filming together for four months, although very tired, but still passionate. The audience’s attention for this drama is also very high, making the atmosphere of shooting is more relaxed for actors, a far cry from the seriousness in drama. The photos released show the closeness between the actors, who be together day and night. The last two episodes of KBS drama Brain is broadcasting in January 16th and 17th, 2012 at 9:55 pm.